David Gatherer is booked for 23rd April for Showjumping and/or cross country at Timpendean so names in soon please to Anne Millar - timpendean@btconnect.com. Club Weekly Training starts on Tuesday 8th January at Dryden at 12 with Fiona Busby. And at Timpendean on Thursday 10th 11am with Anne Millar. The Tuesday night class at Timpendean will start on the 15th at 7pm. Please contact Fiona or Anne to book in. If there was a demand Anne is willing to take a Thursday night class at Dryden but there would need to be enough to cover costs. Fiona and Anne obviously approve of the EFRA bunting! Sat. 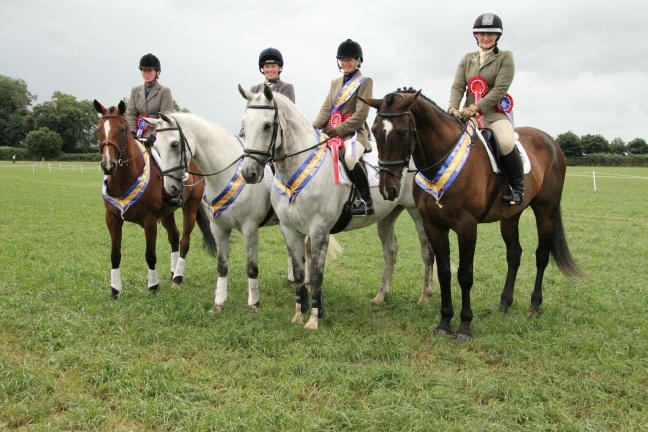 25th May - Open 2 Phase Arena Event and Dressage Classes.